Mr John C.H. 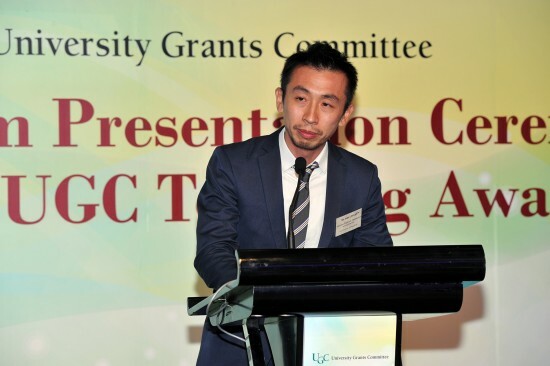 Lin, Associate Professor of the Faculty of Architecture, has been honoured with the 2014 UGC Teaching Award. The Award was launched by the UGC in 2011 to honour academics in the UGC-funded institutions for their outstanding teaching performance and achievements, as well as their leadership in and scholarly contribution to teaching and learning. Only 2-3 awards are made each year. Since joining the University in 2006, Mr. Lin has distinguished himself as a first-rate teacher and researcher in architecture, and as a pioneer of experiential learning, both within his discipline and across disciplines. In recognition of his outstanding contributions in enhancing student learning, he was awarded the University’s 2010 Outstanding Teaching Award.